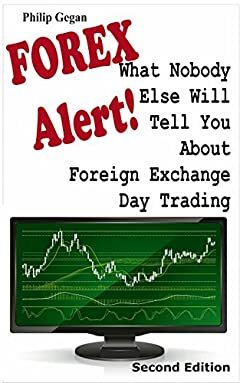 Forex, the exotic world of foreign exchange and spread betting, trading currencies online from your home through day trading, working just a couple of hours a day and scooping your share of the profits of a $3 trillion a day industry. There are dozens and dozens of products - video courses, software, "robots" and more - promising to help you make a fortune. But are they *really* there for your benefit? Or is there something else you should know about? This short guide (8,900 words) can help you avoid losing a great deal of money if you're thinking of speculating with currency trading, forex, fx, or whatever you want to call it. There's nothing like finding water in the desert. Coming across an oasis just when you're beginning to die of thirst must be an exhilarating experience. It's the same when you've been made redundant and the bills are coming in, or you're stuck in a dead-end job with a two hour commute and a boss from hell, and then you come across an opportunity that promises to banish your money worries and all your other frustrations for ever. The sense of relief, the vision of a future that is not only free of all these problems but positively full of abundance, all this comes to those who discover the holy grail of forex. Or so they're led to believe. Forex is exciting, that's for sure. A roller coaster of a ride, where you trade the US dollar against the euro or the pound sterling, the Japanese yen against the Swiss franc, amidst a background of fabulous wealth, luxurious houses, fast cars and exotic vacations. But wait! There may be sharks in the water! And there may be another pool to swim in that's safer. This Guide will show you all the dangers, and the safer alternatives. Few other people will tell you, so ignore this at your peril.